It seemed like a normal Friday. Now, I realize there were tell tales. Sara called, that morning, to ask what we were doing for the weekend. She seemed excited, but I chalked it up to what she was doing for the weekend. Then, around six o’clock I saw Mom and Dad driving up the driveway. Strange to see them on a Friday night, but I totally believed Mom telling me that she wanted me to taste her new batch of strawberry jam. It’s not inconceivable that she’d drive for thirty minutes to be sure her jam was delicious. The apple doesn’t fall far from the tree! Ten minutes after they arrived, Ralph’s truck started making its way up the hill. The sun was in my eyes as I went out to welcome him home. He jumped out of the truck quickly, wrapped his arms around me and planted a big kiss on my lips. The blinding sun caused everything to be in silhouette so when I suddenly hear, “SURPRISE”, I almost fell over. Kaitie had flown home to surprise me for my birthday. Apparently, my whole family had successfully kept the secret for the last month which for us is pretty much impossible. Kisses and hugs and a million smiles have filled our beautiful weekend. Thank you, my darling girl. Meg gave me these pretty Moscow Mule mugs for Mother’s Day. 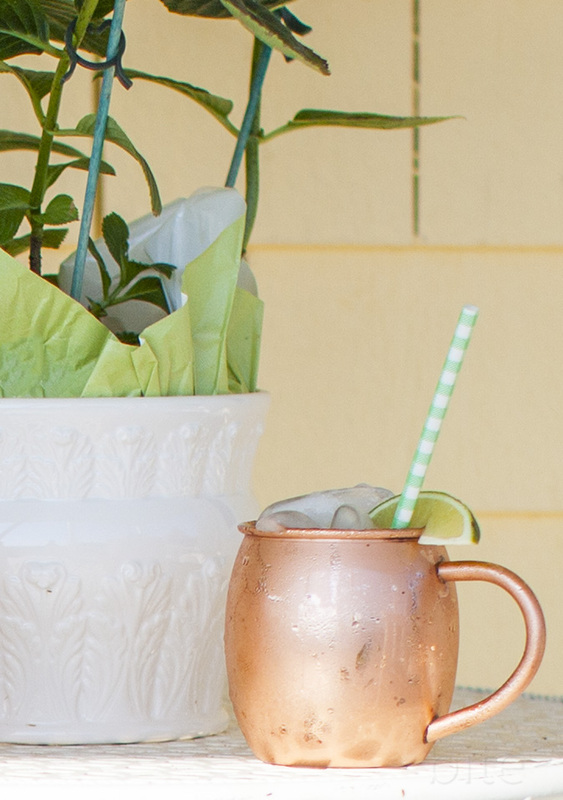 Moscow Mules are a perfect summer cocktail; spicy and ice cold. 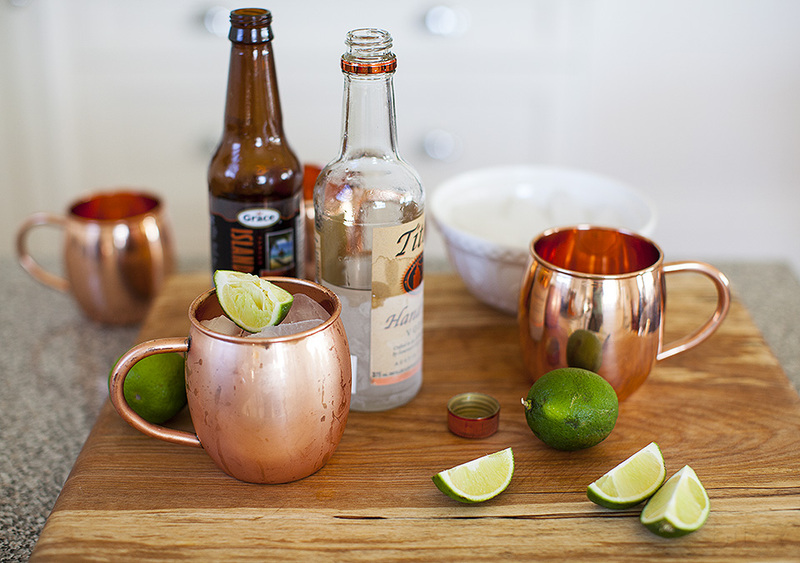 They’re lovely served in the traditional copper mugs, but just as delicious served in a glass. Squeeze lime into a copper mug or a glass then drop it in the mug. Add ice cubes, then pour in the vodka and top with cold ginger beer. Join my mailing list to receive the latest recipes right in your inbox. This entry was posted in miscellaneous and tagged cocktails, family, summer, vodka by Michelle. Bookmark the permalink. Lol, I think I saw Oprah have these on her and Gayles cross country trek . They sound lovely, I am going to get the fixin’s today and have an afternoon treat. Thanks Michelle! By the way, love, love the mugs! Where can I get a set? Subscribe to my blog and get a free copy of my eBook Simple Bites. Subscribe now. © bitebymichelle, 2011-2018. Unauthorized use and/or duplication of this material without express and written permission from this blog’s author and/or owner is strictly prohibited. 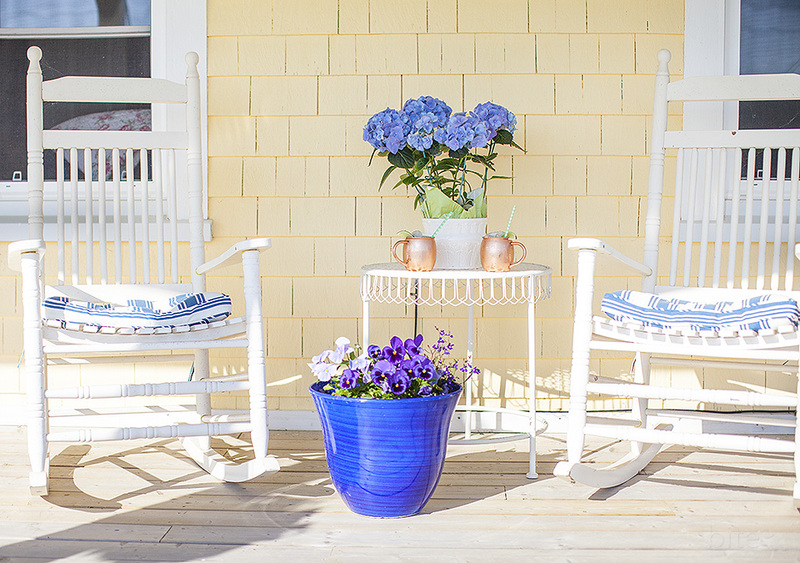 Excerpts and links may be used, provided that full and clear credit is given to Michelle Hooton and bitebymichelle with appropriate and specific direction to the original content. Join my mailing list to receive the latest news and recipes. As a thank you you'll receive a free PDF eBook with five simple recipes for a wide variety of occasions. With each recipe I include some variations, helpful tips and links to some similar recipes.